When you’ve run out of space to build out, you can always build up. Instead of moving home, many families convert attics into modern, functional, and stylish spaces. Converting your loft can add value to your house and can be far less disruptive than renovations elsewhere in the home. 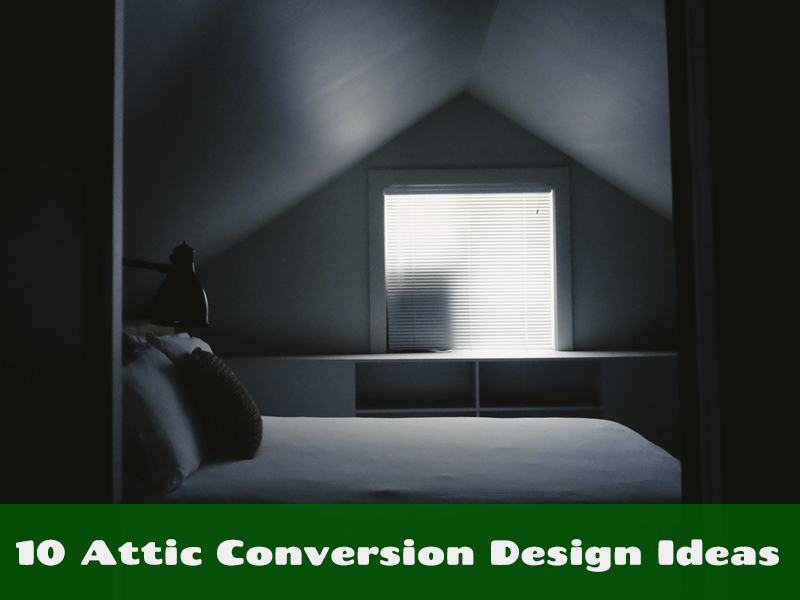 There are plenty of ways of converting your attic into a beautiful space without going over budget. Lofts are most often converted into extra bedrooms but don’t limit yourself. We’ve seen everything from lofty kitchens and cozy offices to walk-in wardrobes and breezy bathrooms. A smart attic conversion is one where you make use of every available area and remove awkward spaces. Not all houses lend themselves well to loft conversions, though there’s almost always a solution. 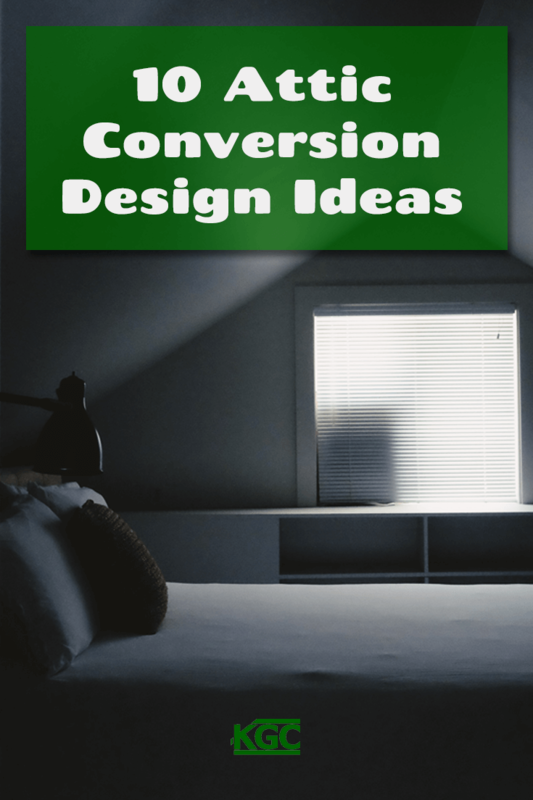 We recommend you consider design, access, and cost for your own home before checking out our great loft conversion design inspirations below. Most Oregon lofts and attics will have low ceilings and sloping walls, which means you’ll have to adapt your design to the particulars of your house. For suitable conversion, the loft has to be high enough and large enough to create liveable space. This isn’t always easy to see from a design plan, so make sure your construction company clearly indicates how much headroom there will be. You’ll also have to consider access: is there space for a staircase below the loft? Will this impede on the current space below? Will you lose light by building up? In some cases, you may not have enough space to create a liveable loft space, but you can still get more daylight in even if you can’t gain more living space. There’s almost always a bespoke solution, and we can help you find it. Finding a custom-made solution to convert a loft can be costly, especially when you factor in the renovation cost itself, adjustments required to structure, and then adding the cost of lighting, ventilation, heating, plumbing, furnishing, and decor. You’ll have to make sure not extend your budget too far or you won’t see a return on your investment. There are designs for every budget, however, and plenty of decorating tips and ideas that will open up space without costing a fortune. Workout in whatever you want! Converting your loft to a home gym means never having to look amazing before you hit the treadmill. Home gyms save you oodles of time in commuting, and the flexibility means you can work out whenever you have a few moments free – no more excuses. Converting a loft to a gym can be quite simple and affordable. Choose hardwood floors that are easy to clean and a simple décor that will let you focus on your workout and block everything else out. Every teenager dreams of having their own space. Who wouldn’t want a little privacy away from the hustle and bustle of adults and the rest of the house? No need to fill the loft conversion with tons of furniture – simply add a bed and desk and let your teenager choose the décor themselves. They’ll surprise you by how savvy and sophisticated they can be when given a free rein over their own room. And when your kids ready to fly the nest, their little hideaway will be a lovely memory they’ll revisit every time they come home for Thanksgiving and summer vacations! With more and more people working from home or working long hours, the popularity of home offices has sky-rocketed. Compared to basement renovations, converting a loft into a home office can be a far more simple proposition. Office loft spaces create that physical distance from the rest of the house that can instantly put you into ‘work mode’. You’re still connected to the family and the house, but you have the privacy and quiet that you need to get work done. Adding a simple area for meetings and small kitchenette can make all the difference to a home office. Keep it simple with lots of natural light, a minimalist aesthetic, and small pops of color to help you feel productive. Perhaps the most common loft conversions are the extra guest bedrooms. Whether you frequently have guests or just need a little more space after the children come along, second bedrooms are a great addition to your house. You don’t need to have an enormous amount of space in your attic for this: as long as there is standing room and enough width to comfortably place a queen-sized bed, you can make that space look amazing with a simple but luxurious décor. Add built-in shelves or closets into nooks or dead space. Bathrooms make great use of the awkward space of lofts. Make the most of the original features of the attic like sloping ceilings, exposed beams, or skylights. Add a freestanding bathtub, good quality tiles, and a delicate bathroom vanity for the finishing touches. Keep costs down by planning your bathroom carefully and connecting the plumbing to existing pipes if possible. Sometimes all you need is a little more room for that extra shower, just so you can get everyone up and ready before school first thing in the morning. For this, loft conversions are ideal, even if there isn’t a lot of space for a full bathroom. You can create a functional, beautiful shower room with very little. You don’t even need to install windows or skylights, though you will need proper ventilation. Finish it off with a small radiator towel rail, which should be enough to heat a small area, and underfloor heating to keep you warm. Perhaps you’ve lost the family war on TVs versus books in the living room, and you can’t find a snug little space to read your favorite stories in peace. Library lofts appeal to those who prefer a hardback to a Kindle, and can offer a beautiful haven of tranquillity in an otherwise busy household. Why not convert your loft to a beautiful library, complete with custom shelving, bright skylights, and comfortable reading nooks? Waterproofing and insulation is always important for attic conversions but all the more so if you’re planning on keeping your treasured books up there. One of the biggest complaints homeowners can have is the lack of space. When you have teenage children and still want to entertain, it can quickly feel like you’re running out of space. Converting a loft space into a second living room is an easy option that won’t cause too much disruption as it’s being built. Key to a living room loft conversion is making the living space an area you want to spend time in: invest in soft lighting, quality furnishings, shaggy rugs, minimalist décor, and luxurious touches to keep the area bright and airy. Walk-in wardrobes aren’t just for the rich and famous. A walk-in wardrobe loft conversion can give you the space you need to get ready in style. This type of loft conversion can seamlessly make the most of the nooks and crannies or dead space of your loft. Add custom shelving, drawers, and storage unit, and complete the look with a comfortable bench and underfloor heating. It’s a simple conversion that adds a ton of new storage space. For Oregon houses that have more room available in their loft, split-level conversions can maximize the space and offer plenty of design opportunities. There are plenty of options for split-level renovations. You can create a mini-apartment, with sleeping space on the top level and a living space on the bottom one. With this kind of space, you can make a comfortable area that’s truly suited to your personal needs and those of your family. However you decide to convert your loft, Keith Green Construction can help you determine if your house is well suited to attic conversion and how to make the most of your space.